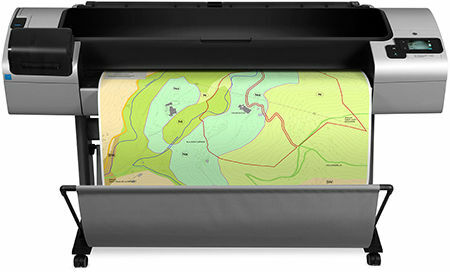 The versatile, two-roll HP Designjet T1300 PostScript ePrinter helps you get more done faster by allowing you to print on different paper types and sizes without manual switching. Get secure connectivity with built-in Gigabit Ethernet. Up to 44-in/1118-mm roll width. D/A1 prints in 28 seconds. Two rolls and smart switching.